Vertablend MFG specializes in self-propelled and stationary TMR feed mixers. We also manufacture a line of feed conveyors and weigh scales. Vertablend Mfg, specializes in high-quality Vertical Self-Propelled and Stationary TMR Feed mixers. 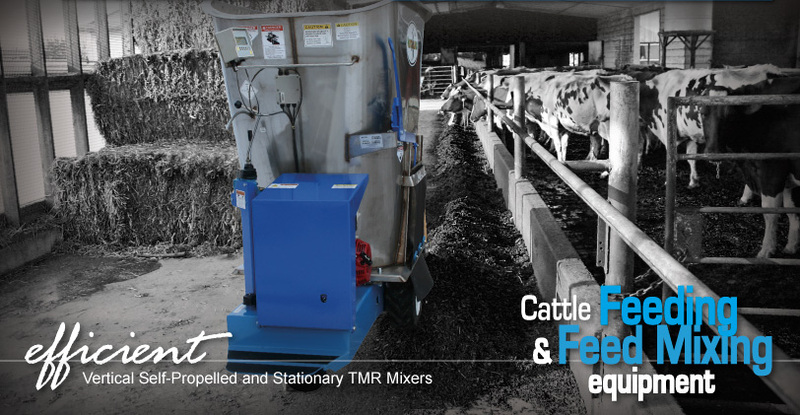 Our self-propelled TMR mixers combine two tasks, mixing, and feeding into one easy task while our stationary mixers allow you to mix at a different location than where you feed. Vertablend also manufacturers feed conveyors and platform weigh scales. Innovative Design & Print, Inc.